One of the few gemstones that only appears in a single color, olive green. This gem-quality variant of the mineral olivine has been brought back from obscurity by the discovery of an extremely rich deposit of the finest peridots in history. 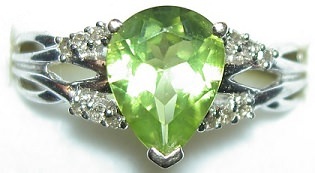 Peridot jewelry is rapidly increasing in popularity. Even peridot engagement rings are seen more and more often in stores. Though frequently mistaken for emerald this green gemstone is a gem-quality olivine. 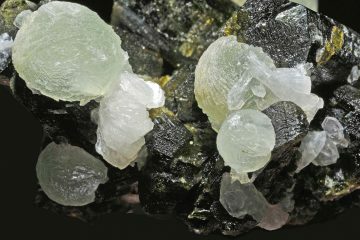 Olivine is a very common mineral on earth, though nearly all of it is not suitable for gems. This makes peridot quite rare despite its apparent abundance. The reason of peridots green color is the inclusion of iron in the mineral. The higher the amount of iron the more intense the green of the stone. Due to the way peridot is formed this gemstone can be under high stress. This makes cutting the gemstone a difficult task, though once completed it is a resistant stone that can be worn without much worry. 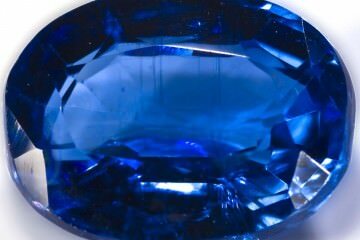 This precious gemstone is a very old gemstone. Peridot jewelry dating back to the 2nd millennium B.C. has been found in Egypt. Unfortunately many of this jewelry was vandalized and their gemstones reused in newer pieces. The Roman Empire was fascinated with peridot stones as well. Calling them ’emeralds of the evening’, because unlike some other gemstones their color does not change under artificial lighting. Over the last few centuries the green peridot slowly faded in popularity. However an extremely rich find in Kashmir, Pakistan in 1994 dramatically changed this. In a mountain pass 4000 metres high, large and very fine peridots were found. The quality of these gems is so high that Kashmir peridot is now a well-known term in the gemstone trade. The extreme circumstances in the mountain pass make mining outside of the summer impossible. 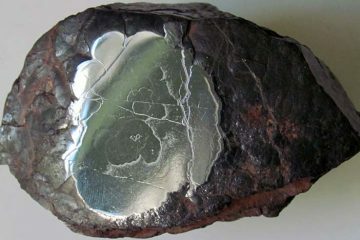 However the deposit has such a wealth of gemstones that the demand can be met easily. The rich find in Pakistan has made the peridot more affordable. Larger clear stones have become more and more available so there’s no need to settle for smaller, less clear stones. This is great news, because like many colored gems the peridot color really comes into play at slightly higher carats than for example diamonds. Peridot value is largely determined by its color, the deeper and richer the color, the more expensive the gemstone becomes. Clarity is the second characteristic for valuing a peridot. Many of the lower grade gems have a milky green color, this should result in a (far) lower price. Make sure this is actually the case when you compare it with similar stones. Though peridot has not been successfully synthesized there are cheaper alternatives on the market. 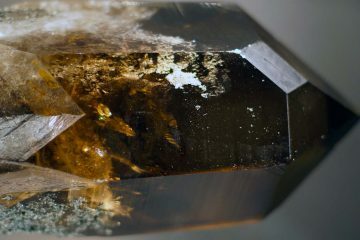 Synthetic forsterite is the most important of these alternatives. It is mostly used to imitate tanzanite though it is not uncommon to find peridot imitations of this material. The easiest way to avoid peridot imitations is to shop at gem shops with a high reputation. Find more information on for example certification in the guide to buying gemstone online. Large, high-grade peridot can be very expensive. Fortunately the smaller stones are more reasonably priced at $10-$40/carat. Which is on par with another green gemstone, moldavite. Still they rival the beauty of all other green gemstones, for example the emerald, despite its lower price. Because the color of peridot does not change under artificial lighting this gemstone is ideal for nighttime appearances.